Great service. Chris was highly professional and organised and did a great job. The bathroom is refreshed and looks great. I can highly recommend their services from my experience. A great way to quickly refresh a bathroom without having to get new tiles etc. Did an amazing job to the shower area. It saved us from having to replace the shower enclosure area itself and it now looks as good as new. Very happy and they are very nice guys. Got my bathroom done this morning and I cant believe what a big difference regrouting and sealing made. Affordable prices and very professional service. if you cant afford a big change, cosmetic bathrooms is a place to go !!!! Highly recommend these guys - my en-suite shower looks like new. Very thorough and clean job. Chris came today to reseal my ensuite shower and regrout the tiles, which I honestly was considering replacing. I couldn’t get over how they looked when he had finished. He had cleaned my tiles and my shower so well that I now feel I have a brand new bathroom and the seal around the shower is absolutely fantastic. He was thorough and extremely tidy and I can not recommend his work, highly enough. I’ll certainly be passing on his details. Thank you so much Chris. Chris arrived on bang on time and did a fantastic job on cleaning, re-grouting and sealing my bath and shower area. His work was excellent and he left the place spotless. I am delighted with his professional work and would definitely recommend Cosmetic Bathrooms. My bathroom looks new again. Couldn't be happier with the service from Cosmetic Bathrooms. Amazing service and the results are great- ensuite shower is like new. From the quote to booking to the job itself, CB were professional and really helpful with great staff! Highly recommend! Chris did a very good job and I would have no hesitation in recommending him to anyone wishing to get their bathroom re- sealed /re-grouted - lovely guy to deal with also. I couldn't recommend Chris and Cosmetic Bathrooms enough. From start to finish the communication and service was second to none. I've a whole new bathroom for a very small fraction of the price and it looks FAB. I am delighted. Thanks so much. ⭐⭐⭐⭐⭐ Absolutely delighted with the restoration of our bath area, it really is like a new bathroom. Very professional company and communication was brilliant throughout the booking process. Excellent job - on time, clean, reasonable pricing. Ilidio from Cosmetic Bathrooms , did a top rate job on the bathroom tiles and shower . It looks brand new and it was a spotless job,no mess afterwards. Thanks again! Very professional, very clean. I was amazed I literally had no clean up. I had shower unit regrouted and resealed. Tiles had shifted due to pyrite. As it was said, cheaper than a new en suite - so right. Ilidio came out to refresh our small bathroom. He was quick, very clean and did a brilliant job - very nice to deal with, no messing and did exactly what we needed. Would highly recommend. Absoutely fantastic service.. bathroom looks brand new, saving me an absolute fortune. If your thinking of getting a new bathroom because the old one Is “aged”... contact these guys. I am delighted with the work done to our shower! Chris did an excellent job and was very friendly and professional. Would definitely recommend cosmetic bathrooms!! Chris did a fantastic job in our shower area and fixed the leak that no one else was able to do it. Great work quality and highly professional services. We recently had Chris from Cosmetic Bathrooms in to fix and revamp our shower. The whole process was excellent and very professional from start to finish. Chris completed a difficult job with great attention to detail and we are delighted with the end result. We would highly recommend his services and will definitely use him again. Delighted with their work, very professional and so quick to respond to queries. Just repaired our shower and we will be asking them to sort out the bath next! An amazing change made by Cosmetic Bathrooms , I would have no hesitation in recommending both Chris and Ilidio, arrived as expected, and totally transformed a very poor looking en-suite, saving the need to spend thousands to replace the shower, all done in 4+hours. Thanks again.. Thanks for the amazing transformation of my bathroom today! I am really delighted with the results. Execellent service came promptly on time , took on an awkward job that work out perfectly! Well done. My shower looks brilliant, back to new. Lidlio arrived at 8am, was so polite and moved so fast. He was finished by 11:30 am and explained everything to me. Not the cheapest but the quality is perfect. Love it, thank you! Cosmetic bathrooms came out and did a fantastic job on my ensuite shower � they made it look like new again! Very professional, very efficient and very clean work!! Loved it!!! Would highly recommend them! The guys did a wonderful job, our bathroom looks like new again. I would highly recommend them for their attention to detail and professionalism. Chris refurbished our bathroom to a really high standard. We are delighted with it! Chris went above and beyond what was required, and he was a pleasure to deal with. Kieran & Fionnuala, Dublin 7. I recently had my bathroom restored by 'Cosmetic bathrooms'. Ilidio did a fantastic job and it looks fresh and clean. Chris was great to deal with from start to finish. I would highly recommend this company. Chris did a great job this morning on our bathroom. It’s like new again and he went over and above what we asked. Just got the tiles in my shower cubicle and the tiles around the bath done at my property in kilmainham. They did a great job, both are like new again can fault the work they did and they were on time and within the price bracket they said. It was a little pricey I thought but not nearly as expensive if you had to replace all the tiles I suppose. Thanks again. Fantastic regrouting and resealing job done in my shower today by Chris. It looks almost new again and makes such a difference! Wouldn’t hesitate to recommend Cosmetic Bathrooms! After reading all the great reviews on Facebook I got in touch with Chris & the team, they were very prompt in coming back with a quote. Llido completed the work on our ensuite & I must say he did an excellent job, we are delighted with his work, the ensuite is like new, I would highly recommend Cosmetic Bathrooms, they are very professional & did a great job. Thanks guys. Delighted with the work I had done by Chris from Cosmetic Bathrooms. 100% satisfied with the job from start to finish. Will have no problem recommending them to others. Excellent job done! Lads were very easy to deal with, very prompt service from start to finish! Cannot recommend them enough! I found Cosmetic Bathrooms on Facebook & after reading all the fantastic reviews I contacted them. Chris got back to me a few hours later & after a few messages back & forth a date was set! It was a far more difficult job than either of us had realised! But Chris, ever the professional persevered with it & worked his magic! I’m absolutely delighted with my bathroom & can highly recommend Cosmetic Bathrooms. Don’t hesitate, make the call! You won’t be disappointed! Cosmetic Bathrooms did such a good jog last year that I got them again this year to regrout another shower. Chris is so friendly and helpful with a very quick response and organized to do the job within a few day. Llidio did the job both times and is an excellent workman, not a speck of dust around the rooms afterwards. I have recommended them to a number of friends. Thank you guys for a job well done..
Chris gave me a good price and had bath area re grouted. Also found a few leaks and sealed them at the same time. I was kept in the loop all the time the job was being done. Top notch service amd would recommend again. I was really pleased with the service overall, Chris was quick to respond and provide pricing,booking etc. I had a shower restoration completed by Ilidio yesterday, he arrived early and worked very quickly and efficiently. He was extremely neat and tidy which was difficult as our Ensuite is a very small space! As promised my shower looks like new. A brilliant service, thanks again. Chris was over 2 weeks ago to sort out a bath/ tiles/ grout/ sealant in poor condition. Very impressed by end result, he kept going until all issues with tiles, grout, plumbing, under bath etc were sorted. Would highly recommend. I also found Cosmetic Bathrooms on Facebook. I contacted them as the shower in our main bathroom was leaking into our kitchen. They replied very quickly, gave me a reasonable quote for the work and we arranged a date. I was really happy with the work, and the bath is prefect now. It looks like new and is not leaking. Thanks again. Shower like new great job cosmetic bathrooms! Top work. Well worth it. Would highly recommend!!! I share the experience of the reviewers here. Excellent work, regrouting and resealing a bathroom. Very reliable, clean job, completed quickly. Got my bathroom done 18 months ago and it still looks brand new! Fantastic job, quick and very clean. Great lads! Definitely recommend! Had these guys out on Monday OMG what an amazing job from first contact to finish so professional arrived exactly at the agreed time rare in Ireland I let the guy in went to work came home to my house all locked up and very tidy. Thank you again, would highly recommend. I heard about cosmetics bathrooms on Facebook so I got in touch with them to get a quotation. They were very quick to come back to me with a price and an appointment. 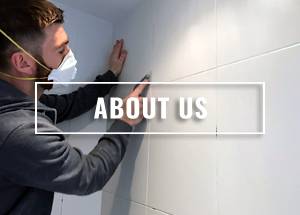 The service itself is superior, the quality of work is fantastic , my bathroom tiles look brand new again , the workman was punctual, friendly and professional. I would highly recommend this service to anyone out there who is looking to restore their existing bathroom tiles at a fraction of the price . I found COSMETIC BATHROOMS on facebook, contacted them and got an immediate response. Chris arrived on friday and we are delighted with the result!!! No deep clean needed for christmas now!!! I would highly recommend this company! They are very nice people. They are doing great job. Wow the job is done. Excellent work. Well done. A friend recommended Cosmetic Bathrooms to me. I must say I wasn't disappointed. From start to finish their work was excellent. IIidio arrived on time. His work was very professional and done to a really high standard. He was clean and tidy and left the ensuite spotless. I was delighted with his work and would recommend Cosmetic Bathrooms to anyone who wants to give their bathroom a face lift. They are also reasonably priced. Thanks to Chris for a great job on our shower today. The finished result looks like new. He did a fantastic job and has been a pleasure to deal with. Great job done by Cosmetic Bathrooms. Had shabby shower/bath tiled area re-grouted and re-sealed and it looks like a new again . I got a rapid response to my initial email and got a quick appointment. Ilidio carried out the work and he was very efficient and left the place spotless (in fact he left the landing carpet cleaner than he found it - thanks ilidio 🙂 . Only took a half day and at a very good price. I highly recommend Cosmetic Bathrooms . I found Cosmetic Bathrooms on FB and after reading reviews & seeing before and after pictures I messaged them. Got a response very quickly and booked them in for only a few days later. The difference in my en suite in unreal. A special mention to Llido who arrived on time is extremely clean. He came across some extra problems and fixed everything to the highest standards. I cant recommend Cosmetic Bathrooms enough. I thought I needed a new ensuite but after getting the work done it really is like brand new. Thanks again guys. Thank you cosmetic bathrooms especially Chris for a job well done in Tyrrelstown last week. Highly recommended indeed. Fantastic job done by Manuel. Fixed broken shower door. Regrouted and re-sealed 2 showers and left them like new! He arrived on time and worked really hard to get the jobs done in the timeslot. Chris and Manuel are 2 really nice guys that provide a very professional service and give very sound advice. Would definitely recommend them. We just had the first of two showers completed this morning by Ilidio. The quality of the work is excellent.Tidy masking and grout work. Took under four hours . Reminds me of when I'd go to a foreign country hotel and say " I wish my shower could look like that ". Now it does ! Thank you Chris and Ilidio . Second shower to be done next week . I can not rate Chris and Cosmetic Bathrooms high enough. He did an amazing job on my shower that was leaking. He also cosmetically tided up the bottom part of outside the shower that was really bothering me. He explained everything in detail and he was the perfect person for the job, a perfectionist! I'm really happy it looks like new and will be recommending CB to everyone. Thanks a million Chris. Great experience with the Cosmetic Bathrooms team, I found them on Facebook and requested that they give our bathroom a refresh; including installation of new shower cubicle, repair to broken toilet and broken electric pull cord. Manuel arrived on Monday morning and had everything done within one day! Not only just the requested repairs but also fixed grouting, all the seals redone throughout the bathroom and all the tiling deepcleaned. He even cleaned and repainted the ceiling which I had expected to have to do myself. It actually feels like we have a brand new bathroom. I would highly recommend Manuel and the rest of the team to anyone who is looking for similar work. Thanks a million guys, a really great job! Manuel did a superb job on our en suite bathroom. It's like new. The service was top quality. Very punctual and professional. I am delighted with the finished results. Many thanks and I will definitely be seeing you again! Manuel turned a very tired looking shower area into a Brand new look. He arrived on time and worked all day to complete the work. Delighted with the results. Have to thanks a mill, great to deal from start to finish!! Place looks fab, very friendly and left the place spotless!! Would highly recommend to everyone! !thanks again !! Chris and manuel brought peace and harmony back to our house. I can finally relax in my bath without looking at lumps of sealant and cursing my husbands diy delusions. Fantastic job couldnt be happier. Hassle free and professional service in getting our bathroom looking great. Highly recommended. Cosmetic Bathrooms were recommended to me by two friends. So I decided to enquire about getting my shower re-grouted and resealed as there was a leak. Chris replied to my query the following day. Manuel then worked his magic on my shower. Absolutely fabulous and he left it spotless. He is a trojan worker. My shower looks brand new. Chris then messaged me to make sure I was happy with the work done. The whole experience was quick and easy. Thanks Chris and Manuel. Will definitely be recommending you to all my friends and family!!!! Cosmetic Bathrooms did a fantastic job re-grouting the tiles in my bathroom and re-sealing the shower. The bathroom looks like new. I would have no hesitation in recommending Cosmetic Bathrooms, they are true professionals. Absolutely amazing!!! Chris and Mauel where in our place bang on time. Manuel did magic in our bathroom!!! It looks better then when we moved in first time! Absolutely delighted with final result!!! Thank you a million Manuel! Highly recommend Cosmetic Bathrooms!!!! Found Cosmetic Bathrooms on Facebook and got them out this week to renovate my ensuite and around my bath. Wow what a brilliant job. All the mould and limescale are gone. The tiles are regrouted and all the seals are replaced. They look like new and I am over the moon. Would highly recommend the guys. very professional. great guy to do work with.. very satisfied with work/finish. Had Cosmetic Bathrooms out yesterday to my ensuite shower. An amazing job. It looks like brand new. From my initial dealings with Chris he was professional, answered my message within minutes, worked out a date that suited me within a wk(I do shift work). Arrived on time, cleaned up after himself. One very happy customer here. Would most definitely recommend Chris and the lads. Very impressed with the work. My shower looks so neat, it actually looks brand new. The person who came to do the job is also very conscientious to details and very pleasant! Thank you. Absolutely delighted with the job Ilidio did for me, my bathroom looks amazing. Easy to book, very responsive to emails and friendly and professional throughout. I would have no problem recommending Cosmetic Bathrooms. Came across this page by accident on Facebook. Just moved into a new house and needed 2 bathrooms cleaned, resealed and regrouted because of leaks and new shower doors. Chris came and sorted it all out and the bathrooms look brand new. Delighted with the result and would definitely recommend them to friends and family. We just had restoration work done on our shower, cleaned, re grouted and re sealed. Delighted with the outcome as looks new again. Llidio carried out the work and was very efficient and punctual and left the area spotless after. The guys are great to deal with, very reasonably priced and would def recommend to anyone. Great job, very efficient and professional. Wouldn't hesitate to recommend them. Thanks Chris and Llidio. Excellent service ! Bathroom looks brand new. Highly recommend Chris. Thanks again. 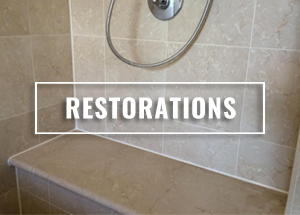 I'm absolutely thrilled with my bathroom repair, I found cosmetic bathrooms very professional and would not hesitate in recommending them. They went above and beyond. Chris is a miracle worker! So happy with my new / not new shower! Highly recommend. Just had my 2 bathrooms regrouted and resealed by Ilidio today. I am thrilled with the brilliant result. My bathrooms are like new. Ilidio provided a very professional service, he arrived promptly this morning and I now have two new bathrooms. I would highly recommend Ilidio and Chris for the excellent service they provided. Had Chris here today from Cosmetic Bathrooms. Excellent service would highly recommend. Delighted with results. Highly recommended. Very professional and friendly. Work is extremely neat with great attention to detail. Super service. Thank you so much for transforming my bathroom love it . A shower that I thought was fit for a skip was transformed yesterday for me. Llidio did a fantastic job so clean so professional and amazing results. All seals repaired/ replaced and the whole thing cleaned. Thank you, am one happy customer. I had my ensuite shower regrouted and resealed last week and they did a super job, the shower looks brand new. Very professional people to deal with too. I wish them the best of luck with this business, they do an amazing job. A friend recommended Cosmetic Bathrooms to me after a leaking shower unit needed a repair. She raved about the guys work.Based on her recommendation I booked them for my own repairs. I had a very positive experience. Easy to book. Quick to respond via email etc and called to confirm the day before. Turned up on time . Re sealed my shower unit and bath area. Fantastic neat and tidy job. Left the place so tidy you wouldn't have known they were in the house. Would highly recommend this service. Affordable and good quality. Well done lads keep up the good work. Delighted with the friendly, efficient service and the amazing results that would have you believe I had the bathroom re-tiled. Highly recommended. We had a leaking problem with our shower for a very long time and despite 3 previous attempts the shower was still leaking. So same after coming across some FB reviews about cosmetic bathroom I contacted Chris asked him if he thought he could do something and he did! Shower looks la lot better and more importantly is not leaking anymore happy days ! Would highly recommend Chris ' services. Found this page on Facebook....so easy to contact for quote and received clear explanation and breakdown of costs for my wish list. Chris was here today and made that wish list come through !!!! My bathroom was in such bad condition from mould. Chris worked his magic and my bathroom looks better then brand new including removal of mould ...tiles 're grouted and brand new shower doors !!! If anyone is thinking of getting work done dont look further then Chris!! Great value and worth every penny......Thanks so much !!!!! Cosmetic Bathrooms did a great job to fix my taps in the main bathroom and also spruced up the bath and ensuite shower. Very professional, great communications and friendly. Highly recommended. Had the shower refurbished by Chris last week. Excellent job, very clean and tidy with it too. Arrived on time and job completed within timeframe given despite coming up against an unforseen obstacle. I have no problem recommending Chris. Could not recommend Cosmetic Bathrooms enough. They're super easy to deal with, getting a quote from photos and booking a slot to suit my mental schedule! The work is absolutely outstanding. We had our shower cubicle and parts of other bathroom done and both look brand new to show house standard. Unbelievably good value for money as bathroom and shower look brand new without that cost of buying new! Definitely advise anyone getting any bathroom or shower work don't look passed these guys, you won't get better standard of work and value for money! Great job done by Chris, came across Cosmetic Bathrooms by chance on FB. From first contact to works completed took less than a week. Very happy with the outcome and would highly recommend. Thanks. I just wanted to say thank you, Chris and Ilidio for a fantastic job repairing our shower last week. You were a pleasure to deal with and the finished result exceeded expectations, it's like having a new bathroom! I had gotten so used to looking at the old, badly fitted tiles and dirty grouting, I can't believe it's the same bathroom, Definitely worth the money, I should have done it ages ago! Absolutely amazing job done today by Chris. So happy. Shower area came up like new. Very professional and would highly recommend to anyone thinking on getting bathroom cleaned up. Thanks Chris! If anyone needs their bathrooms re-grouted I would definately recommend this company. Had our ensuite shower done today and i'm absolutely delighted with the result! Thanks Chris, really happy with your work. Great job. Very professional. I would definitely recommend! Huge tanx to the lads for a great job on our shower.Great work carried out quickly and neatly.Tanx again. I've had Chris out to do work on two showers which needed remedial attention. His approach is professional, efficient, and effective. Had I known about his service years ago I would have saved myself a lot of headache as well as avoiding wasting cash on other remedial approaches. He comes with my recommendation. I had Chris and Oli out today to regrout and seal the bathroom. Oli did an absolute amazing job can't praise him enough on the work he did the bathroom looks brand new. Two lovely fellas,very professional. I would highly recommend them to anyone. Great service and money well spent. Thank you Chris and Oli for the excellent job done on my bathrooms. Punctual and professional, would recommend you to anyone. Would highly recommend these guys, delighted with my transformed ensuite. Prompt, professional and tidy. Absolutely delighted with the work carried out by Chris today. The shower and door is now sealed professionally and looks fantastic! Highly recommend Chris and his team, they are so professional and pleasant to deal with. Made my shower look brand new again at a very reasonable price. This is a little late (understatement) sorry�I had Chris come in a do an absolutely amazing job in my very tired and mouldy bathroom . It's like new. Very professional and hard working. Thank you again. Brilliant job completed on my main bathroom & en suite, they look brand new now. Chris & Adam did a great job, they arrived on time & got straight on the case, all the seals & grout are white again. I would highly recommend Chris, he even fixed my wonky tap in the kitchen, thanks again Chris. Five Star job on my en suite today by Chris. Really brought my bathroom from a grubby old state to its former glory. Initially I had thought the price was a little steep but now after seeing the work I'm very happy to have gone ahead with the job. Thank you again! Chris and team did a fantastic job on my shower. They arrived on time and left the place spotless. Bathroom looks like new. Thanks lads. Thanks to Chris and his team, very happy with the brilliant job. Shower looks brand new. No mess left behind. Would definitely recommend. Chris did a great job on my shower, which is about 15 years old. It looks brand new !! Great worker, cleans up beautifully !! Such a nice guy too and great advice for other bathroom work you may want to do. Definitely recommend Chris and Cosmetic Bathrooms. Thanks a mill Chris. Super job. Money well spent. Feels like a brand new bathroom. Delighted. These lads were clean, ontime and very professional � 5 star. Super job by Chris. Arrived early and got straight to work. The shower looks fantastic. Would definitely recommend Chris. Fantastic job carried out by Chris and Adam today. I was actually thinking of getting my ensuite re tiled but the guys did such a good job it looks brand new. They offer a very professional service and I would highly recommend them. Chris was very friendly and turned up on time. He did a really good job on restoring the bathroom and ensuite shower and did more than I asked him to do e.g. he replaced damaged tiles from his own stock of tiles. I would definitely recommend him. I had Chris out to sort my ensuite shower. He did an amazing job on it. Turned out it neededa huge amount of structural work along with the cosmetic work done. They were so professional and sorted it all out and it looks fantastic!! Would highly recommend them!! Thanks lads. Super job on my bathroom by Chris. Turned up on time, really hardworking lads, spotless job with minimal clean up needed afterwards, just a wash when the grout is dry. Really delighted to get another couple of years from my lovely expensive tiles now the grout and seal is brand new. I had a leaking shower and discoloured ten year old grout, which is now bone dry, brand new and spotless! Delighted! Just had Chris out to do my Ensuite. Amazing the difference and the guys were great. I would highly recommend them for such a great service. Tile and shower tray look like new. Excellent. Great job by Chris today. He did a fantastic job, very professional. Would definitely recommend this company. Thanks Chris. Highly recommend Chris. He was fast, friendly, efficient and did an excellent job. I'm so pleased with the results. Chris was very professional in dealing with. Excellent result, I've a new en-suite..yippee! He was quick, efficient, knew exactly what he was talking about and work is to a very high standard. Chris is a fantastic tradesman, they did a great job on my old shower. It looks like new. Clean and shiny tiles and pure white grouting. Well done lads. I would have no problem recommending Cosmetic Bathrooms. So delighted with my refreshed shower, it is such a pleasure to walk into my bathroom now. I cannot recommend Chris highly enough such a professional and nice guy too. Thanks again Chris for making my bathroom look like new again! Brilliant job done and really nice person to deal with. Highly recommend. Thanks so much, excellent job and service. Would highly recommend this service. Thank you Chris for reviving our shower looks great very professional job. Fantastic job done by Chris. Very professional and great communication. Very happy. Than you so much Chris for transforming my bathroom. Looks like it did when it was done about 13 years ago. Very reliable guy who pays attention to detail., obviously takes great pride in his work. Can't recommend him highly enough. Our grubby ten years old ensuite looks like new. Great job, I would have no hesitation in recommending Cosmetic Bathrooms. Fantastic job on resealing my Bathroom Chris.Thanks a mil for all your help. Would recommend without a doubt. Great service, am delighted with the results. Would highly recommend. Delighted with my lovely clean mould free en-suite. It was a shocker! Chris was friendly and efficient and gave me lots of advice on upkeep. So great to deal with someone who takes such pride in their work. Gillian, Dublin 16. Great job done by Chris removing all the mouldy silicone, replacing and regrouting. It looks as good as new. Would definitely recommend! Chris regrouted and sealed our en suite shower yesterday and did a fantastic job. Shower looks amazing. Can't recommend Cosmetic Bathrooms and Chris enough - what a great guy. Tnx Chris. Amazing job competed on my grubby looking bathroom from Chris. Tiles look new and fresh again. Very reliable and honest lad, could leave him with a key to work away so no need for days off work to babysit workmen! Excellent value for money. Thanks again Chris! Chris did a fantastic restoration on a tired ensuite shower - it looks almost new. A very professional service - Chris was punctual, friendly and left no mess at all. Would recommend . Excellent service! Would definitely recommend to a friend! Chris is a really friendly and nice guy. great service, would highly recommend Cosmetic Bathrooms. Can't recommend highly enough. Chris did a fantastic job on the bathroom. Looks better than when it went in! Great job on my shower! Looks like new. Many thanks. Chris did an amazing job with my shower. Very quick efficient and value for money. Thanks to Chris of Cosmetic Bathrooms for an excellent job ... really pleased with the work that was carried out - it looks fantastic. Chris just finished a really big clean up, regrout and reseal of our bathroom and Ensuite showers, not only did he send a text yesterday to say he would be here but came on time as well. We're thrilled with the end result and Chris explained everything he did and gave sound advice on their upkeep. Really nice guy and couldn't recommend him and his workmanship highly enough. People who take pride in their work are hard to come by so we're delighted to give Chris a big thumbs up. Deirdre and James, Swords. I would highly recommend Chris. Excellent professional work at very reasonable rates. My shower now looks brand new. Thanks a million Chris for doing an excellent job. Chris did a fantastic job on our bathroom!! It looks like new. Such a nice pleasant manner, and utterly professional too. Would highly recommend. Hi Chris, just want to thank you for an excellent job done on my shower! Very professional job, thanks a million! I got a fabulous refurbishment done on my bathroom . I am so pleased with the job. Recommend this service to anyone. Thank you very much Chris for a fantastic job.